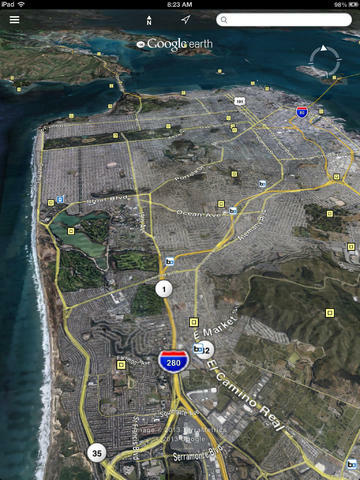 Google Earth - and Google Maps - have changed the landscape forever and offer us a delicious array of activities to get our teeth into. 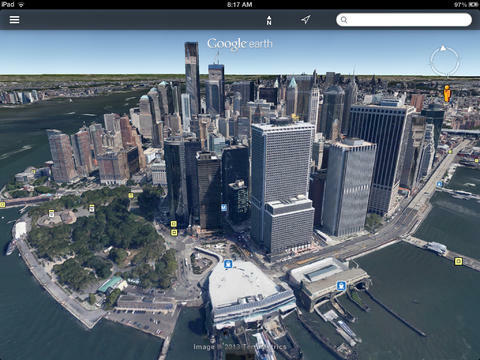 Google Earth has so many features that it’s hard to keep track of all its capabilities. Google Earth allows you to add a ‘placemark’ to sites of interest, which are then added to the ‘My Places’ folder for easy reference later on. Placemarks show up on the map as yellow drawing pins, but it’s possible to customise the icon. 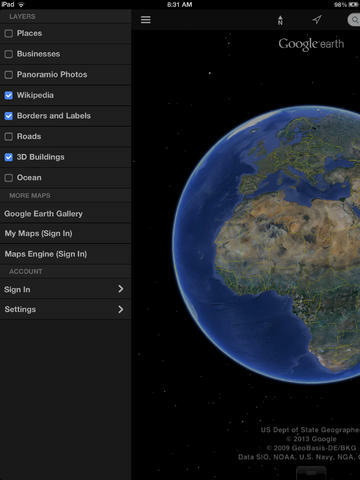 Google Earth is an out of this world application for teaching geography and a superb programme for souping up other subjects across the curriculum. How can we use the app? Explore the past and see how locations have changed over time. 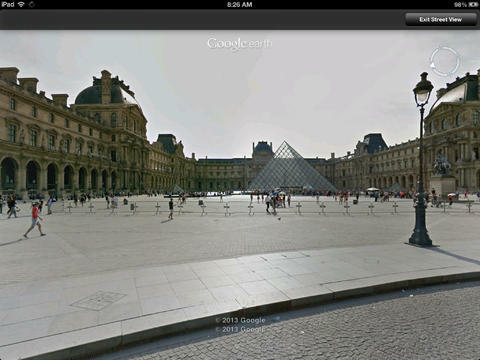 To do this, click the ‘Historical Imagery’ button in the toolbar. 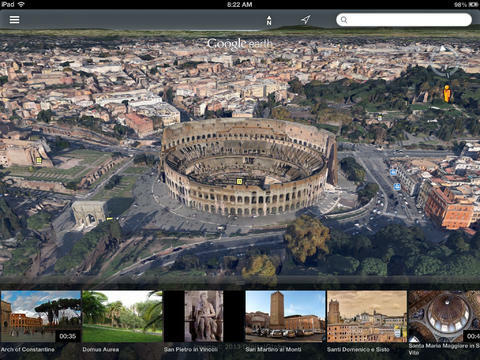 Move the slider at the top left corner of the 3D viewer to see imagery from previous eras. You can get a detailed look at hundreds of buildings in many of the world’s cities by ticking the ‘3D buildings’ option in the ‘Layers’ panel. Tilt or zoom in to get a better view. Click on the daylight button and use the time slider to watch dusk, dawn and shadows move across the Earth. Fly around the world using a flight simulator. Go to ‘Tools’, enter ‘Flight Simulator’ and select your plane and start location. The display shows your speed in knots, heading, throttle and altitude. The latest version of Google Earth lets you dive into the seas and marvel at underwater terrain and investigate hundreds of shipwrecks.